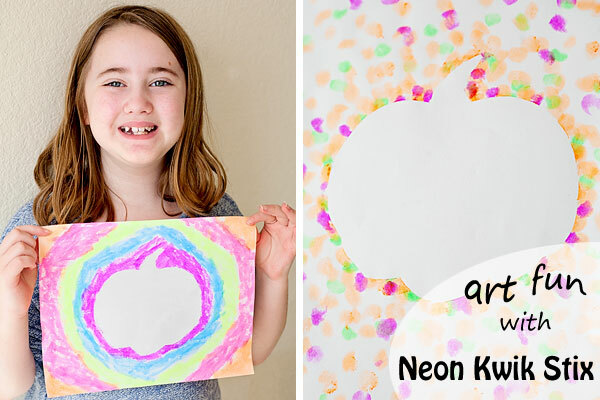 Kwik Stix: Metalix and Neons | Review + Giveaway! We’ve used the basic Kwik Stix a ton, so I was ecstatic to be given the opportunity to try out the Metalix and Neon sets and they most definitely did not disappoint! 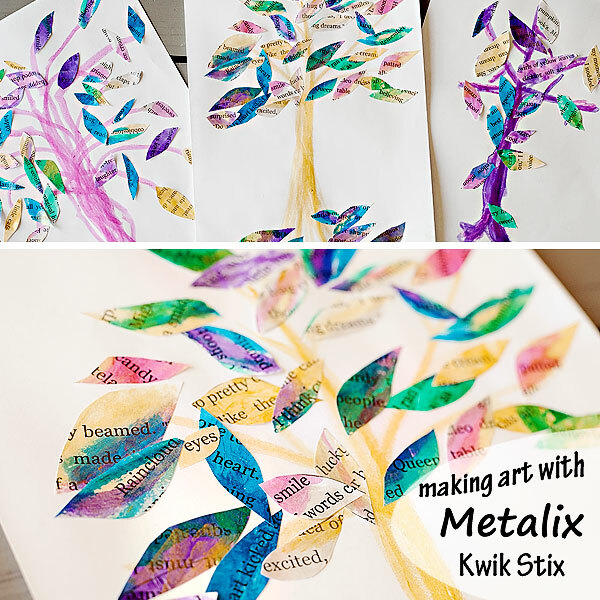 At some point later I need to make another post walking you guys through the spindiddly craft we did using the Metalix Kwik Stix and a printout of When the Ghosts Come Out to Dance by Natalie Lloyd to make autumn trees, but for now here are some pictures of how gorgeous the Metalix look (except, unfortunately the pics don’t quite do it justice, they’re seriously a smidgen more sparkly-gorgeous in person). 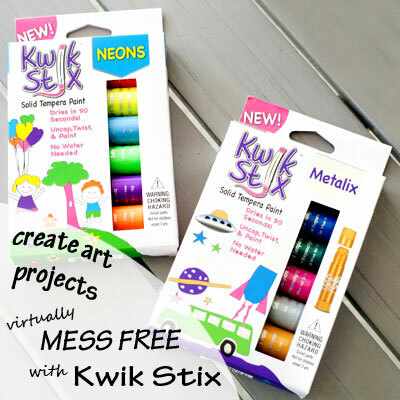 And now for my favorite part of this post…the part where I get to tell you how you can enter to win a set of Metalix or Neon Kwik Stix of your own! The Pencil Grip Inc. is sponsoring a Kwik Stix giveaway for 2 lucky winners! On November 9th (12 days from today) I will draw two names out of a hat (or use a random number generator or something). The first name selected will receive a 6 pack of Metalix and the second will receive a 6 pack of Neons! So without further ado, let me tell you how to enter! You can have up to eight total entries. First of all, simply leave a comment here BAM – you’re entered! Yay! Then if you’d like, choose any/all of the following options: comment on my Facebook page about the giveaway, share a link to this post on Facebook and/or Twitter, and pin any or all of the images to Pinterest. For each additional action you take, please leave an additional blog comment letting me know – that way I can easily keep track of everything! These are so adorable! I absolutely love the concept of these and the colors are so pretty! These would make GREAT birthday and Christmas gifts! 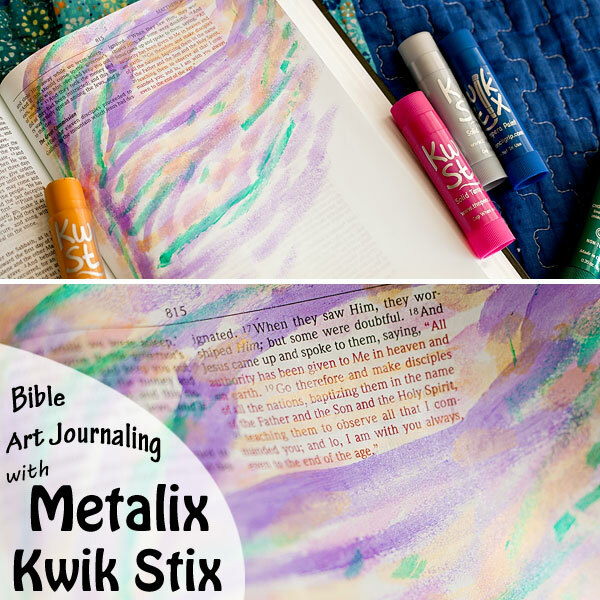 I love how you used these in Bible journaling! Great idea! I just pinned this page to my pinterest account! My kids would like to try these. Kwik Stix are so cool! I’m just seeing these! I’d love to try them out with my card making! These look amazing! Especially the metallic! I am getting a journaling Bible for Christmas and would love these! I keep seeing posts about these. Looks like it may be time to give them a try! My son loves these! We got samples at the homeschool convention. They’re on his Christmas list! Based on your review I went out and purchased the metallix and neon sets as part of my 4 year old granddaughter’s birthday gift. They were a huge hit! My 4 year old and 7 year old granddaughters spent hours painting with them over the Thanksgiving holiday. No mess, quick drying and pretty colors…so wonderful! My 7 year old granddaughter even asked for her own set for when her birthday comes up in December. Thanks for the great idea!